Overbite - Corrected with upper and lower removable appliances and finished with braces. 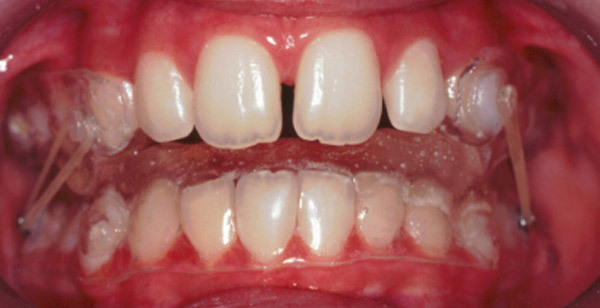 Underbite - Treated non-surgically with removable appliances and finished with braces. Crossbite - Corrected with removable appliance and braces.